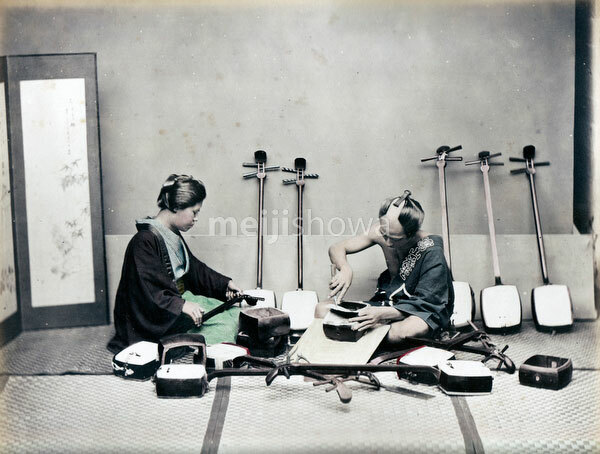 A craftsman working on a shamisen, a three-stringed musical instrument played with a plectrum called a bachi. Same image as 70614-0005 – Shamisen Craftsman. See Blog entry.